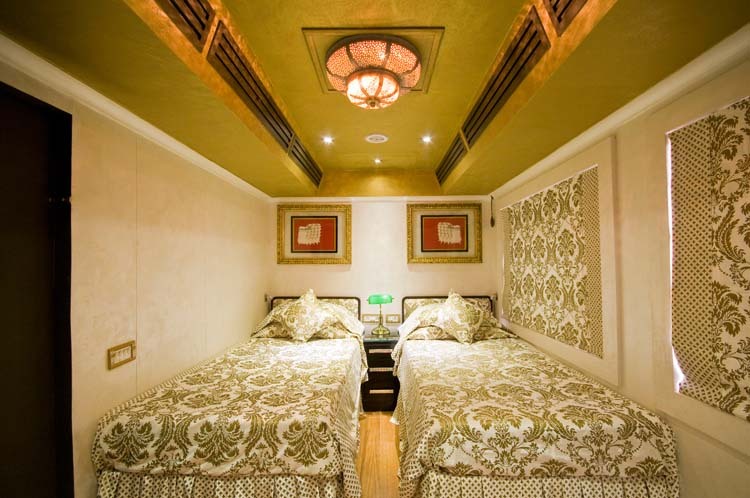 Get a glimpse of the royal interiors of the Palace on Wheels luxury train – the decor does complete justice to the train’s name. 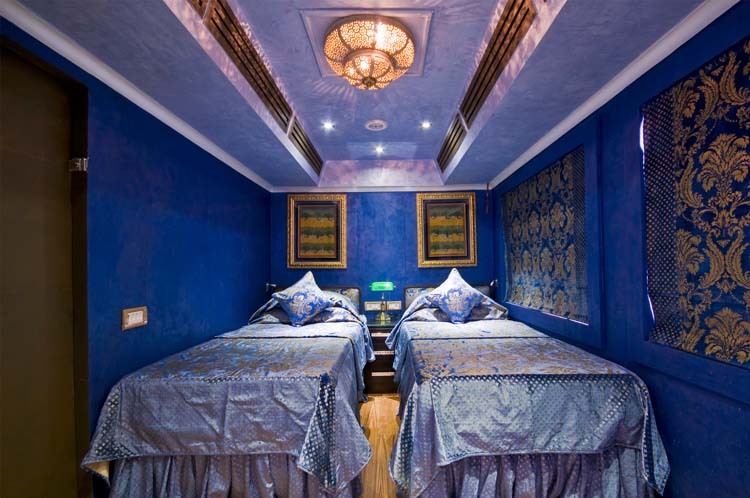 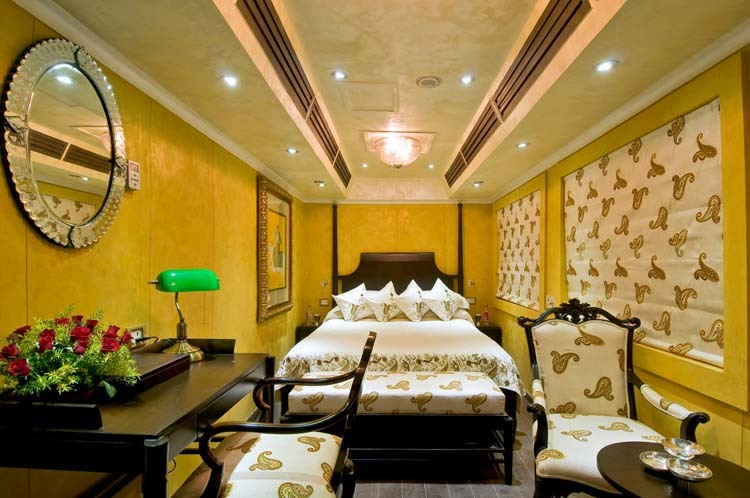 Each suite and cabin in the train has its unique theme inspired from the princely states of Rajasthan’s rich past. 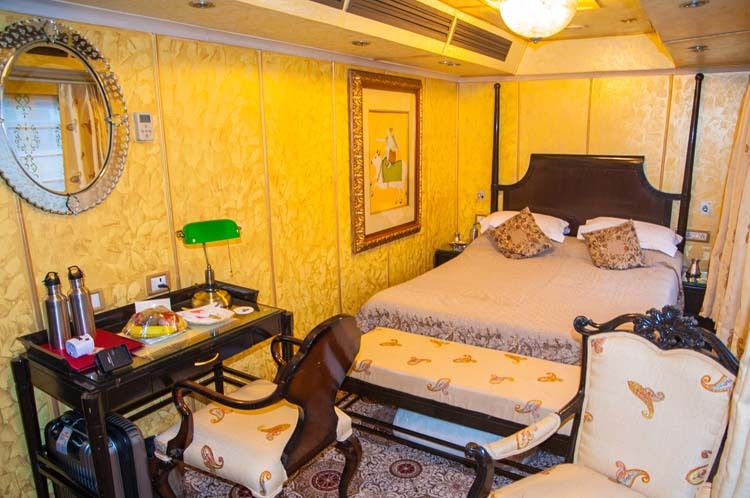 Sleep like a king and enjoy 5 Star amenities at your disposal aboard the royal express that is designed to tantalize all your senses. 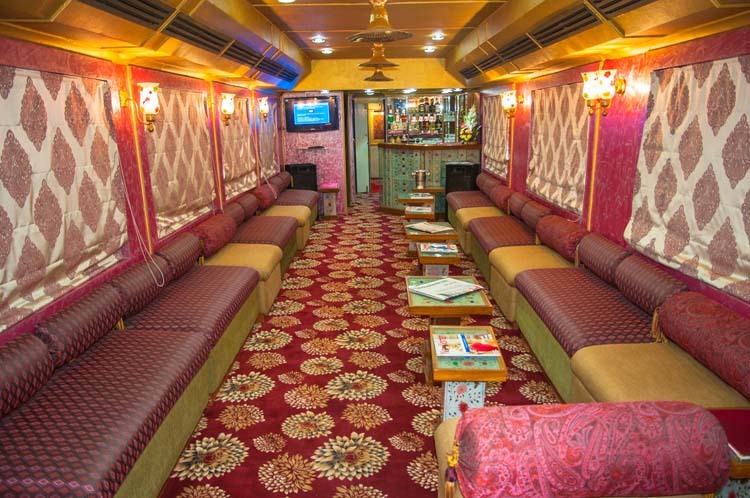 There are pictures of the train common areas as well that are designed to offer extravagance in every way to the guests. 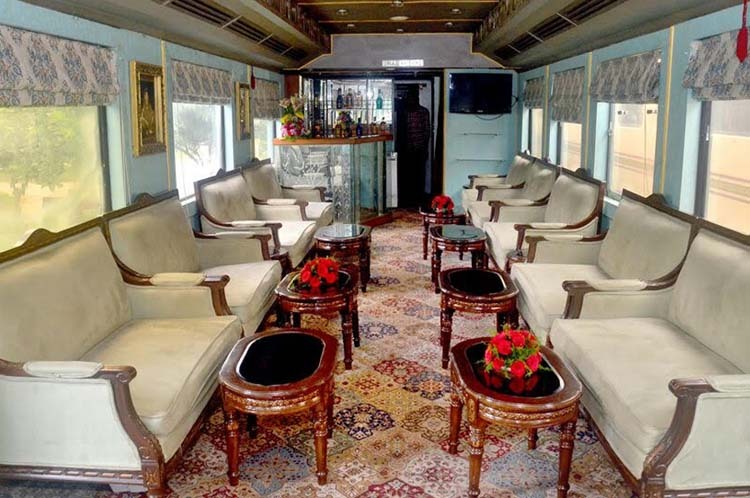 The train royal Maharaja Restro Lounge is designed taking inspiration from royal seating areas at the various palaces and forts of Rajasthan. 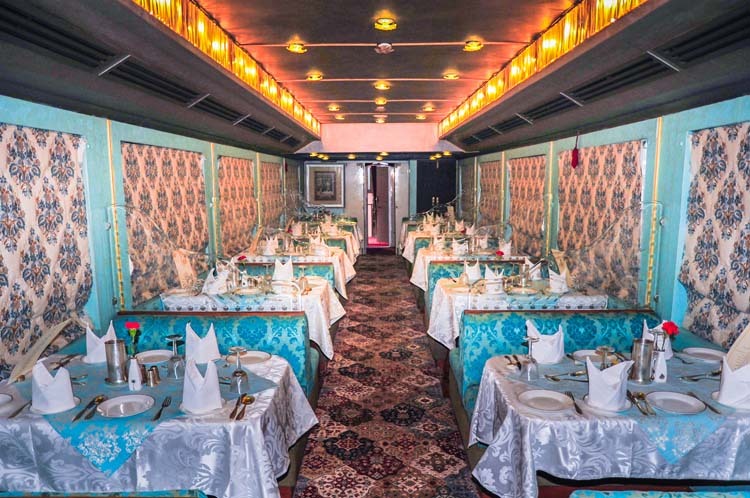 The Sheesh Mahal Lounge on-board marries the two best elements of the journey – royal interiors, classy services and the romance of luxury train travels with the unique views of India’s countryside. 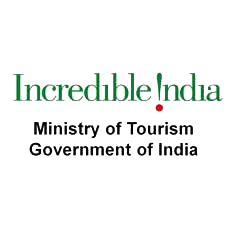 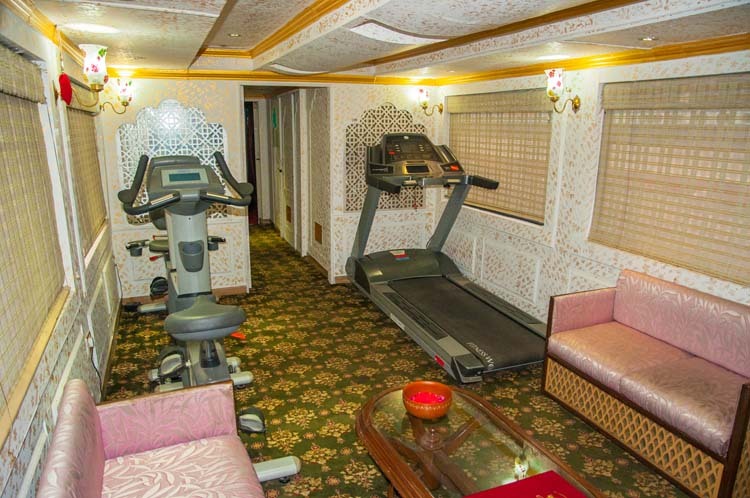 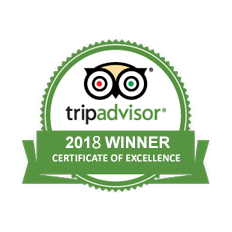 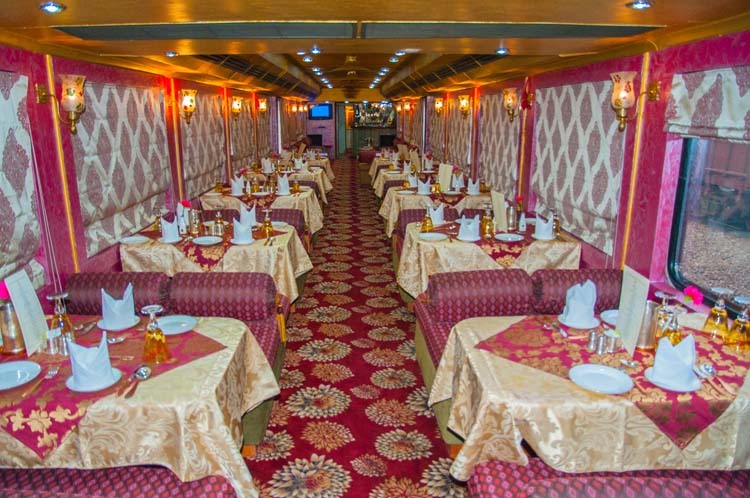 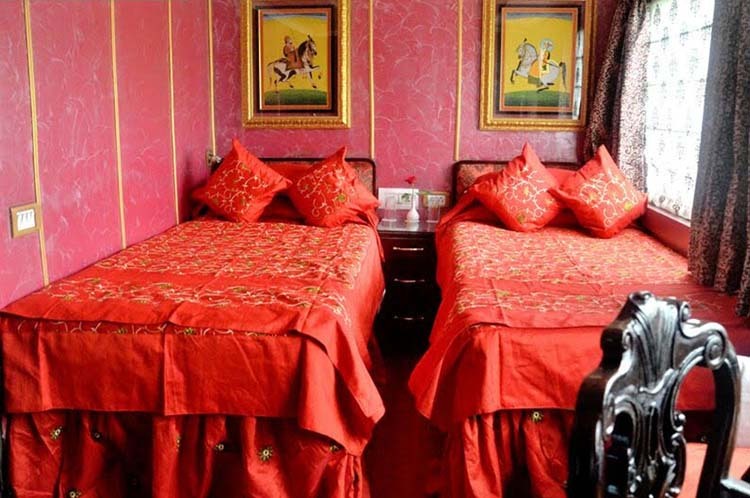 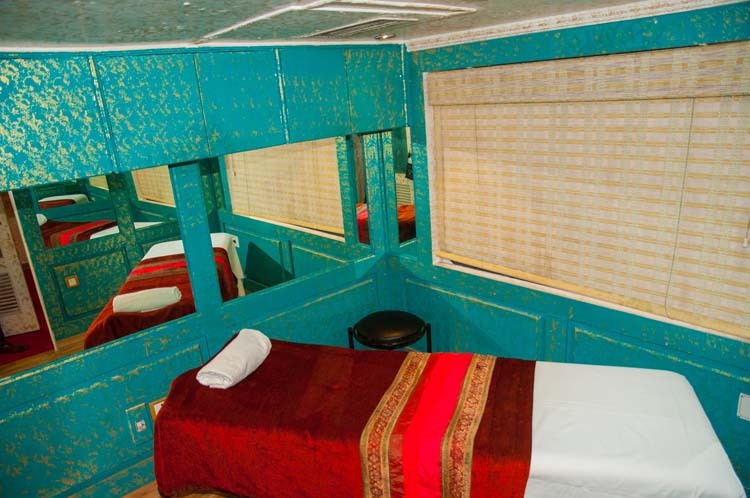 See it all for yourself, book a trip aboard the Palace on Wheels today!